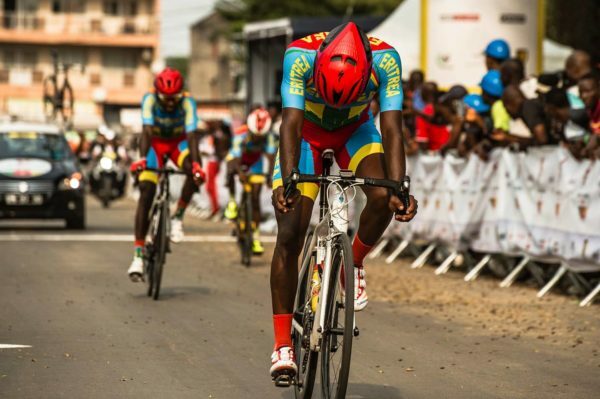 The first U23 Nations Cup race of the year is underway in Cameroon. Irish cyclist Adam Stenson is in action there for his new team. 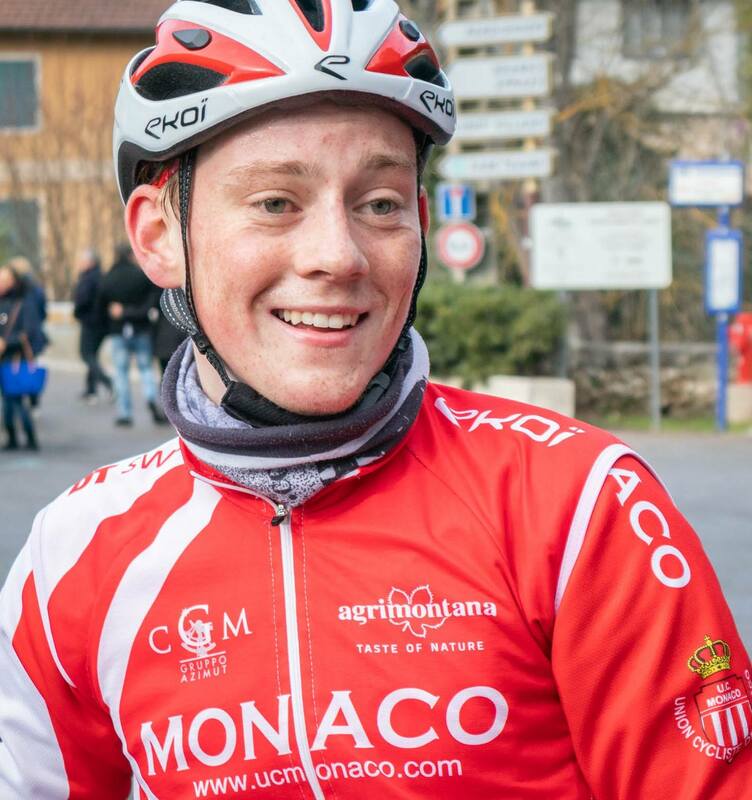 Adam Stenson has gotten his season underway in the opening stages of the first U23 Nations Cup race of 2019, Tour de l’Espoir. Stenson rode with Team Speeder in Switzerland last year but is now competing with Union Cycliste de Monaco. And while the UCI Nations Cup races normally feature national selections rather than trade teams, Stenson is in action in Africa this week in the colours of Monaco. The race began yesterday with a team time trial; some 18.6km starting and finishing in Douala. It was won by Eritrea, who saw off Algeria by 14 seconds after clocking a time of 23:58. Portugal was next, another 11 seconds back and then came Stenson’s Monaco outfit; in 4th place and 41 seconds down. The Eritrea team finishing the team test; which they won in some style yesterday. The TTT result left Adam Stenson in 16th place overall heading into the 102.3km afternoon road stage into Douala. It was won by Francisco Campos (Portugal) from a three-man group just two seconds clear of 38 riders. Stenson had been in that group just behind the three leaders, on a day when the bunch whittled right down. However, when a gap was allowed open up in the reduced bunch a small time split emerged down the field. And so rather than finishing in the group at two seconds, Stenson was a further 10 seconds back along with 25 other riders. 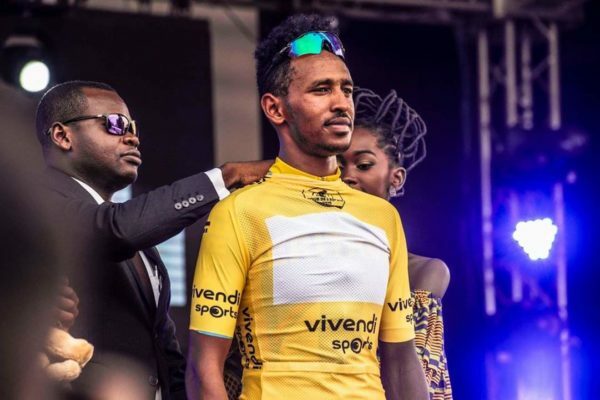 On today’s third stage, a short but lumpy 68.3km to Dschang, Yacob Debesay (Eritrea) emerged the winner. He had been in the yellow jersey after the TTT. And while he slipped to 2nd overall after yesterday afternoon’s stage, his victory today saw him assume the race lead once more. He won today from Alexis Quinteros and Santiago Montenegro; both of Ecuador and some five and 36 seconds back respectively. The field split to pieces, with almost two minutes separating the top 10 and most of the riders much further back. Stenson came home in 48th place at 9:04. He is now 40th overall with two stages remaining in what looks like a very testing opening race of the year. Yacob Debesay is looking very strong in yellow. 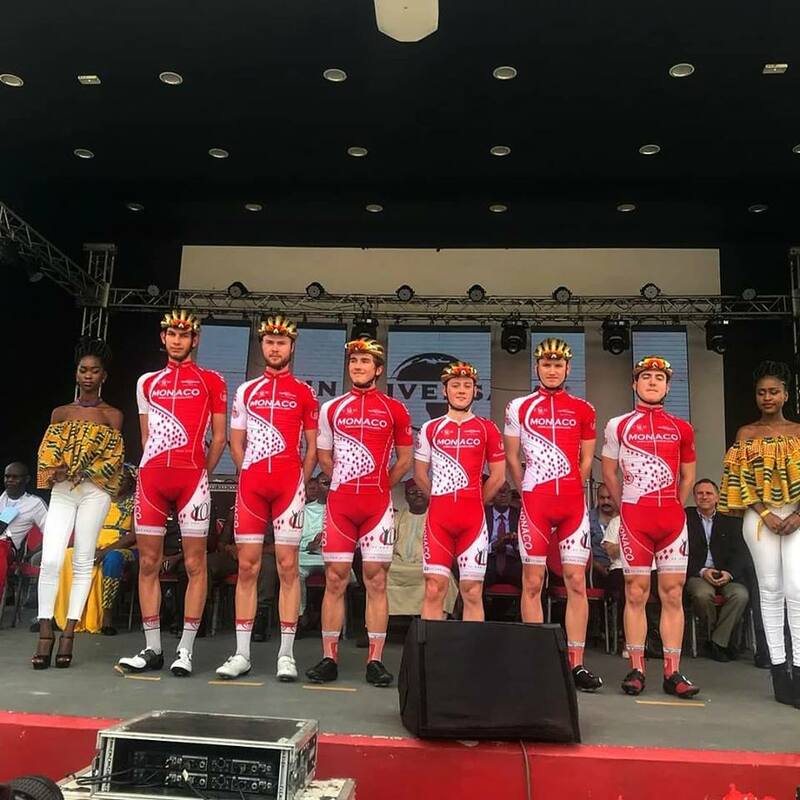 Adam Stenson, third from right, with his Monaco team in Cameroon.